Carpet One Floor & Home in Concord is your local flooring expert. As part of our large quality selection of flooring, we offer carpet. When homeowners are looking to buy new carpet, they want something comfortable, trendy, and durable. Our flooring professionals are carpet experts and can help you navigate our carpet collection using the Select-A-Floor™ system to make finding your new carpet easier. Carpet floors are more functional now that it even has been before. New technology has made them more stain resistant, matt resistant and more durable all together. Most carpets now feature allergy-friendly options, where allergens will not stick to the fibers and are easily vacuumed up. Carpets also assist in the energy efficiency of your home. Wool carpets, for example, can trap heat in their fibers, keeping your room cozy warm during the colder months. When choosing a new carpet for your home or office, you will want to consider how well the carpet will wear and how long it will last. You will also need to consider how you use that space. Maybe you’ll need a waterproof carpet that can withstand accidental spills. Or maybe you need a carpet that can handle pet accidents. Carpet is made to be stylish as well as functional in your home or office setting. With carpet, you can walk into just about any room and immediately feel the comfort and softness underfoot. How do you find the right balance between performance and style? 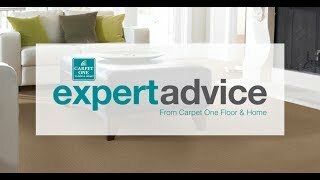 The most important thing you need to do is to choose the right type of carpet. There are five main types: level loop, patterned, textured, frieze, and plush. You will want to install carpet in places where you spend most of your time relaxing in like in bedrooms, living rooms, or even a den. We carry stain resistant carpet that can be installed in busy areas of your home like hallways and stairs. We also have durable carpeting that can be installed throughout your home and can handle children and pet accidents. Carpet is not well suited for areas like kitchens or bathrooms. It is also important to know that carpet padding is an important part of the carpet as well. If you get the wrong type of padding you could run the risk of your new carpet floors becoming damaged, or worse, your subfloors. As part of our selection, we have Carpet One exclusive brands such as Relax, it’s… Lees and Tigressá. Also, we carry name brands like Fabrica, Masland, and Stanton carpets in our showroom. Be sure to stop by and check them out! Carpets come in all kinds of different colors, fibers, and piles. Learn about the different carpet types and choose which one would work best in your home. A carpet may not say when it needs to be replaces but it will show you. Follow the link below to learn about signs to look for to tell if it is time to replace your carpet. Carpet can fade for many different reasons such as frequent use and long-term exposure to sunlight. Follow the link below to learn more about how you can prevent carpet fading.